Windfall is now available at All Romance Ebooks and will be available for sale at Apple, Barnes and Noble, and Kobo soon. Get your copy of Sins of the Past for FREE on Amazon now. Just follow the link below. Disowned and cast out of his home, eighteen year old Declan Mayo turns to the only thing he can think of to help him get back on his feet. Working at Chicken Ranch, a rural brothel that caters to gay men, seems like the perfect solution. He isn’t about to let a lack of sexual experience stop him from taking what he sees as his only way off the streets. Falling in love with one of his clients wasn’t in the game plan, but Declan can’t seem to help himself. Killian Hamilton is sweet and kind, with a stutter Declan can’t help but find adorable. Surely, if anyone could overlook Declan’s choice of employment, it would be a kindhearted man like Killian. What Declan doesn’t count on is Killian’s connection to one of the brothel’s regular clients, or the way his love life is about to blow up in his face. In other news, I’m changing the name of book two from Recession to Broke. The old title never really caught on and I think the new title speaks more about the character’s reason for going into the rent boy business than the old one ever could. Hi Guys! I have a hot new sale to share with you all! Bad Boys Gargoyles and Dragons is free this weekend on Amazon (8/5 – 8/9). Get ready for 5 steamy paranormal stories featuring men who love men from a dynamic mix of bestselling authors. Inside this bundle of carefully-selected stories you’ll discover bad boys who always get what they want, fantastic creatures finding their mates…and everything in between. There’s over 135,000 words waiting to thrill you. Blackmailed into claiming a birthright he doesn’t want, Cadge Johnson is thrust into a world of politics and intrigue. He’ll do whatever it takes to save his brother – even sleeping with his enemy. Thrown together with a man he’s kept at arm’s length for decades, Cadge fears for his sanity. His only ally is old friend and former lover, Red Taylor — the very man who swindled him into traveling to the council’s stronghold. The sordid past they share is nothing compared to the trials ahead. After nearly a century of love, loss, murder, and deception, only the cold, hard truth will finally set them free. Hi guys! I have good news and fantastic artwork to share today. 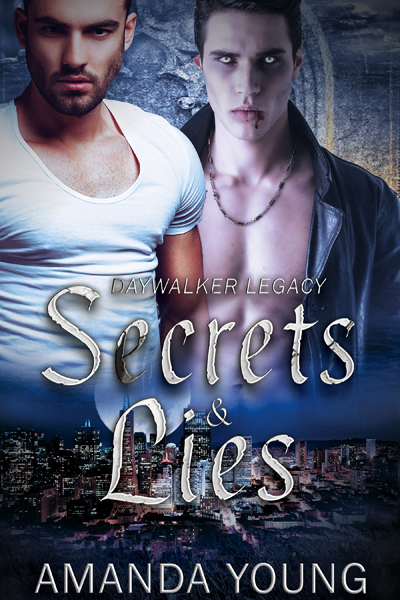 First off, Secrets & Lies is no longer available for purchase at Loose Id (or anywhere else for the moment). However, it will be republished by the end of this month, so the wait won’t be long for anyone anxious to get their hands on a copy of the book. 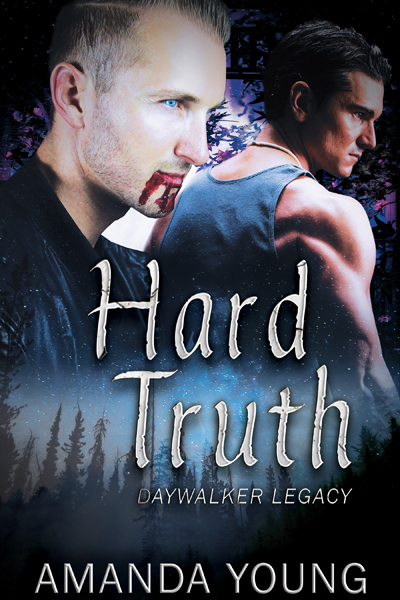 The sequel to Secrets & Lies, The Hard Truth has been out of print for months now and will also be republished within the upcoming weeks. Stay tune for more information on their release later this month!